Adam James Boyle received his B.S. from Purdue University and his J.D. from Seton Hall University School of Law. Following law school, he served a one-year Civil Part judicial clerkship with the Honorable Elijah L. Miller, Jr., J.S.C., in the Superior Court of New Jersey (Bergen County). 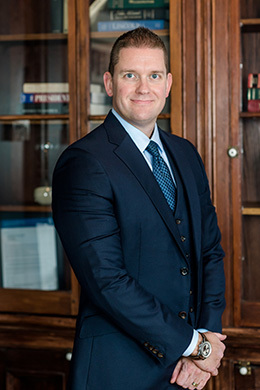 After completing his clerkship, Mr. Boyle joined the law firm of Fronzuto Law Group, where his practice is focused on general civil litigation, with an emphasis on plaintiff medical malpractice, product liability and catastrophic injury matters. He is admitted to the bar in the States of New Jersey and New York, as well as the United States District Court for the District of New Jersey.